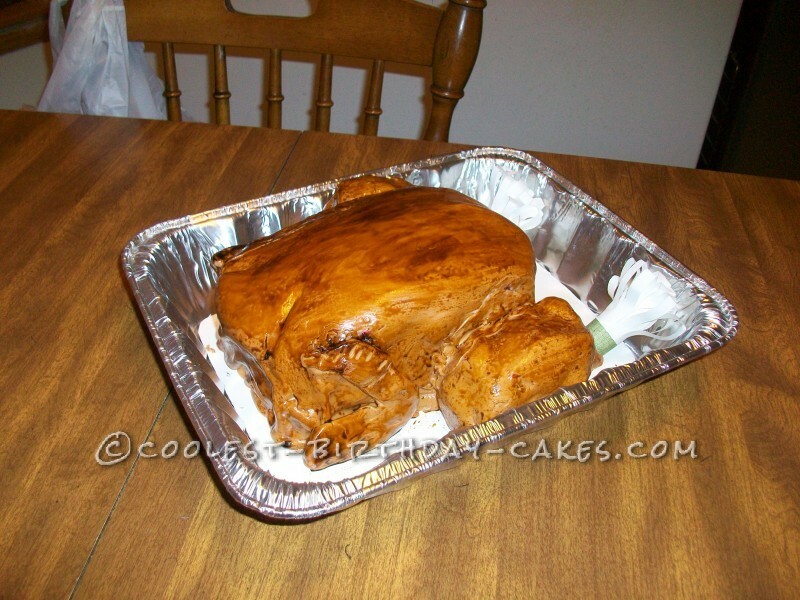 This turkey cake was my third attempt at using fondant. I found a recipe for fondant on Pintrest and started working with it and got hooked. For Thanksgiving I wanted to make special deserts for two parties. 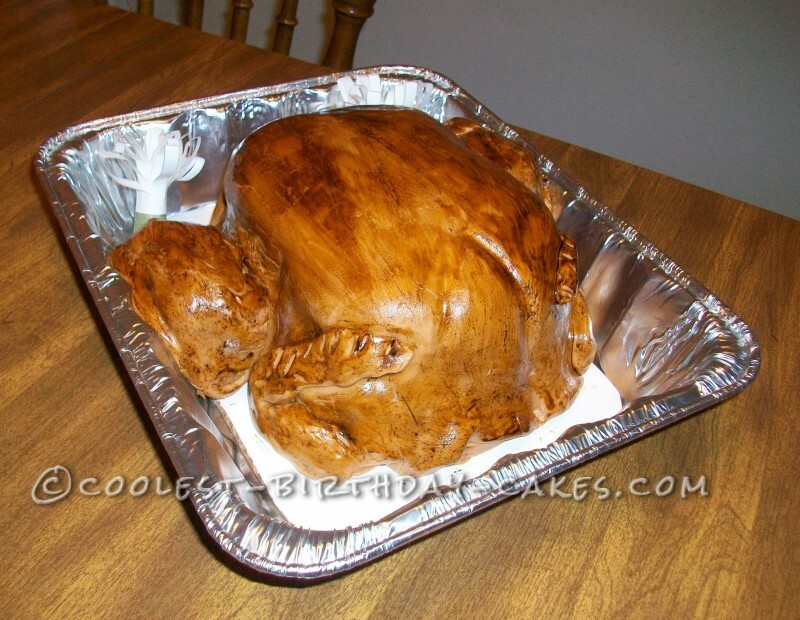 I decided to see if I could make a turkey cake for each party. They turned out better than I expected. I actually fooled a lot of people and my photos of the cakes still fool people. When I put the cake on the desert table someone told me I needed to move it to the meat table. No one wanted to be the first to cut the cake but I finally convinced someone to try it. 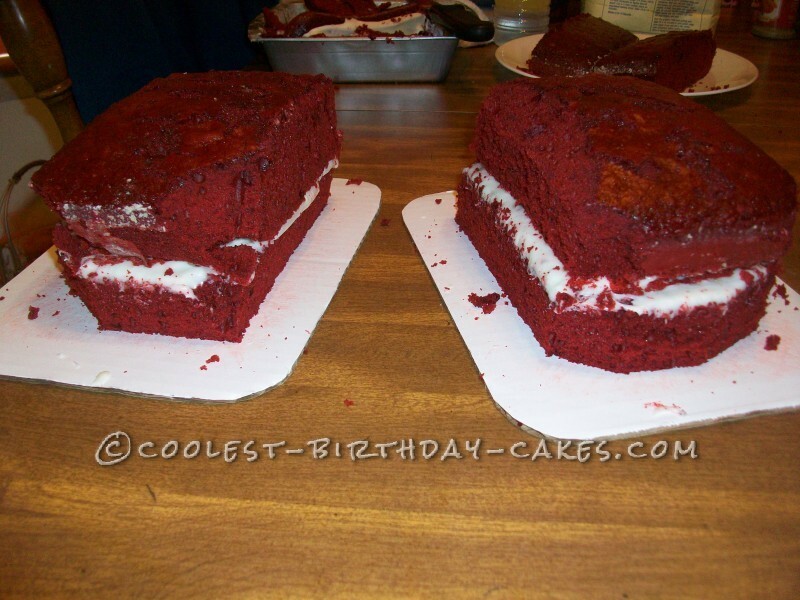 The cake was a red velvet with cream cheese icing. The red velvet was a perfect choice for a dramatic effect. 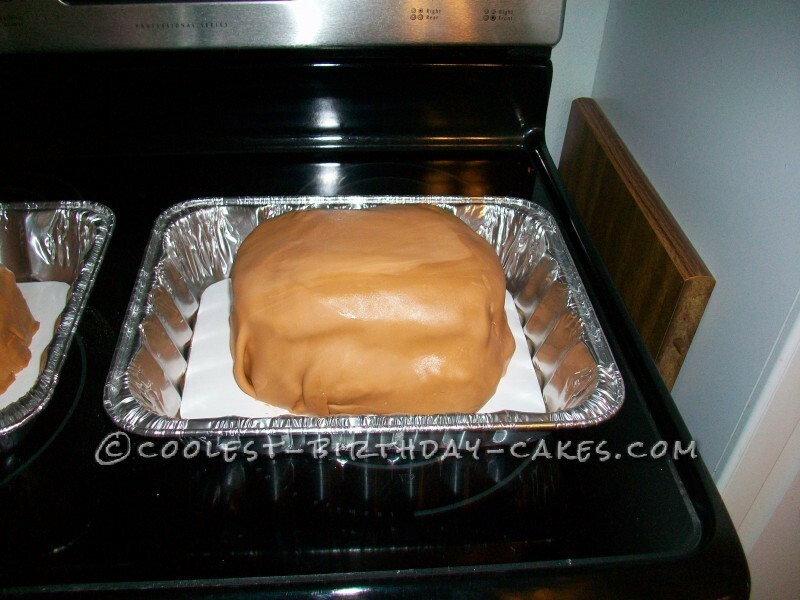 I tinted the fondant with brown food color. 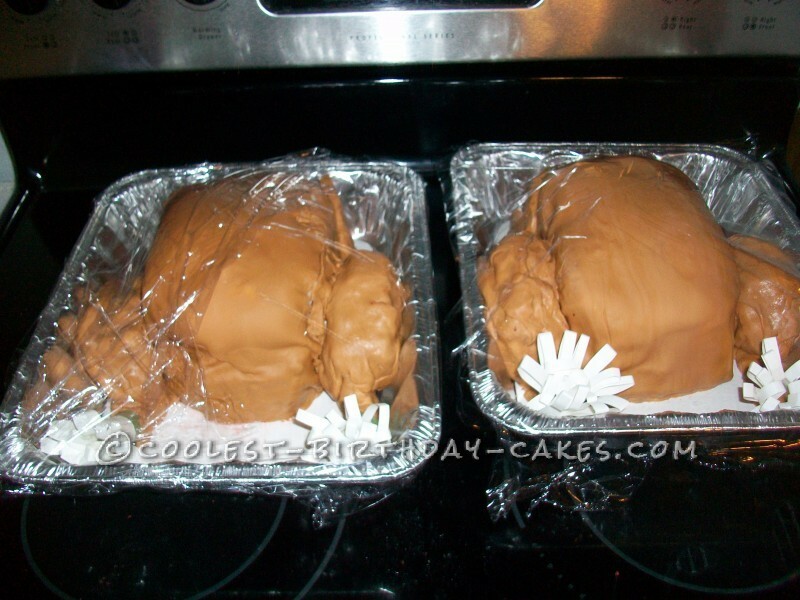 Then after I placed it on the cakes I painted brown food color mixed with a little water to make it looked cooked and basted. I had culinary training but had never worked with fondant. I am so glad I tried it. Now I sell some of my cakes and also donate some for local charity auctions. I love to try new cake ideas and make them about whatever hobby the person has who is receiving the cake.